Move. I was living in Brooklyn, working at Paramount Pictures when I got sick with mono and broke my ankle. They stole my job away from me (Thanks, Diana) and I needed a new start. After working out a deal with PPC, I got unemployment and health insurance but had no job or at least no job that was comparable to the one I held. (Again, Thanks, Diana.) It was during the seventies and Affirmative Action was newly discovered and revered. It was at that point when our boss, Diana, added a J. to her first name. All of a sudden she was J. Diana,( J for Juanita.) All her employees laughed behind her back, but it was SO Diana. I happen to know she has dropped the “J” since. I bumped into her near Starbucks one day about thirty years after I worked there and she still gave the same, big, fake smile, on her heavily painted (and probably surgically enhanced) duplicitous made-up face. After that incident, I decided I wanted to move, so by myself, (and with my parents permission!?) I traveled to several different cities to see if I would like to put down roots. I spent an entire day on a smelly Greyhound bus to go from NY to Portland, Maine and then from Portland to Bar Harbor, Maine. I stayed a few days in each place but it didn’t seem like a fit. I landed up in Boston and lived there for many years. I thought my best friend Matthew would be moving there too but he changed his mind. I waited for him to come for longer than I should have and I played “Please Come To Boston” so many times it is engraved in my heart. I will play that song after I post this, that I know for sure. I got married in Boston, bought a house, had two children there and rooted for the Red Sox. 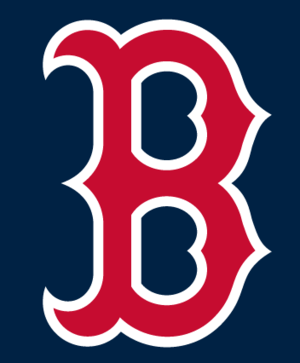 Between you and me, while I don’t still live in Boston, I still root for Red Sox. Don’t tell the Yankees, or my son.